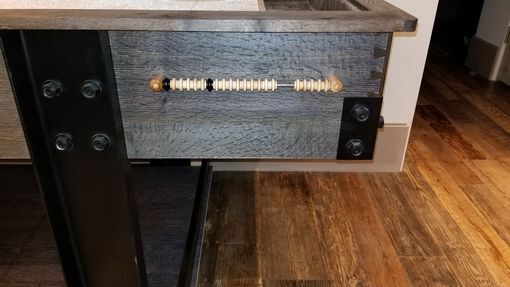 In doing so we incorporated an in-laid 7" steel c-channel leg system with 3" steel angle iron on the corners which wound up complimenting the dovetailed corners of the cabinet. 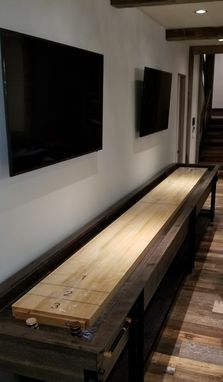 Complete with a complimenting leather placed on each scoring end of the of the table's gutter & wrapped up along the same area walls which then tucks up under the accenting oak hand rail. 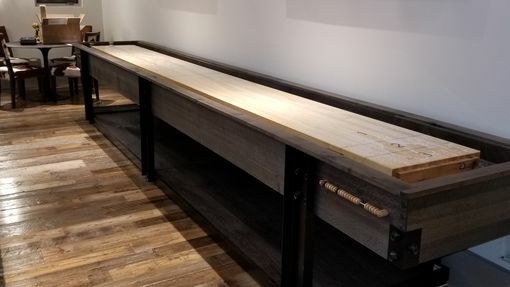 This piece also has a matching oak bottom shelf which allows them to store all the cleaning & maintenance supplies as well as their custom hardwood topped pucks & bowling pin set within reach of the game and yet not taking up storage space elsewhere in their home. 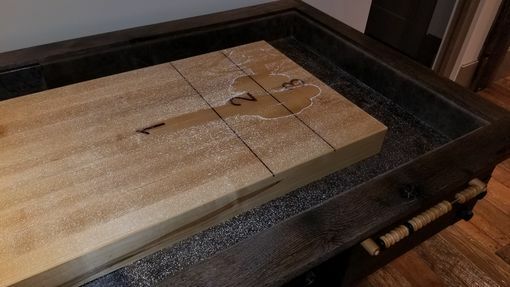 A classic hard maple playing surface was inlaid with walnut foul and score lines as well as the numbers. 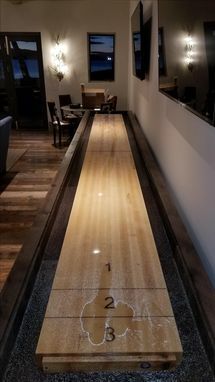 With an acrylic finish on playing surface and industrial hardware, this piece will be another that will be handed down thru the generations. Every one of our pieces is custom made to order and will not be duplicated by us for another client. 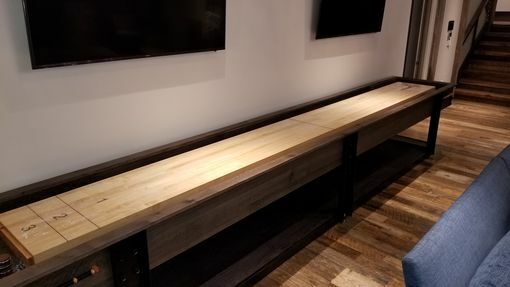 Each and every one comes with a 3 year all parts and labor guarantee against materials and workmanship. Options are only limited by imagination! Contact us today so we may supply you with your ultimate table.